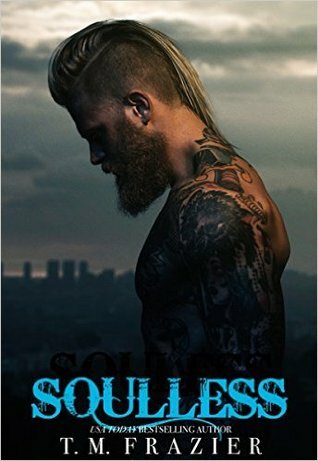 Soulless is Bear and Thia’s conclusion that will leave you guessing at every turn and not wanting to put the book down until its finished. I loved this book and I loved Bear. The cover helped with that haha It was sad finishing this book and I look forward to seeing what Frazier brings out next! Have you read any of Frazier’s books? What did you think of Soulless? I only read the 2 first books so far and still can’t handle that Preppy is gone 😦 The third one has been waiting some time already on my Kindle. And yeah, those covers … YUMMY! !